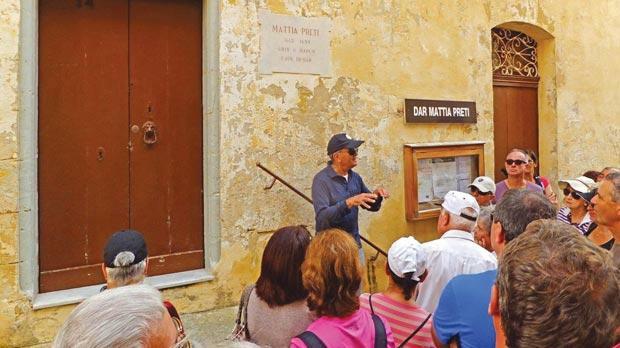 Joe Agius giving information to the Ramblers’ group outside a house where painter Mattia Preti once resided. It was a glorious autumn day when the Ramblers Association of Malta went for a cultural walk in the Mqabba and Żurrieq area. Joe Agius, one of the members and a lover of history, led the group through a number of sites, most of which were obscure to many. 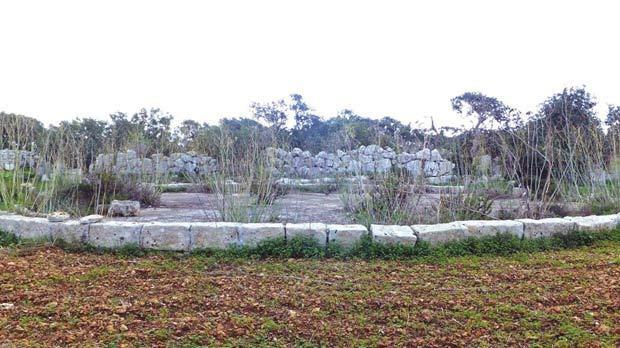 The trail started from in front of the Mqabba parish church and continued through the village, on to Bubaqra, Safi and Żurrieq, covering a good number of historical sites. Here are just a few interesting ones. The residence in Triq il-Fjuri in Żurrieq was once owned by the great painter Mattia Preti (1613-1699). He had spent the last 40 years of his life in Malta – first staying in Valletta and later on moving to this house from where a number of great works of art were made. This house is today used by the local council of the village as a training centre. 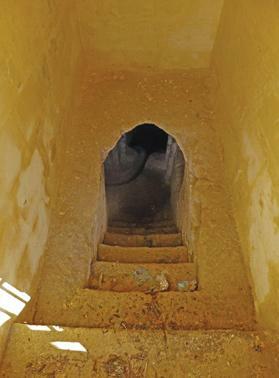 Il-qiegħa consists of a flat surface where the wheat was crushed to separate the grain from the plant. Across the fields in Safi a rare structure is still visible. This is known in Maltese as il-qiegħa and consists of a flat surface prepared with a reddish kind of soft cement known as deffun. During harvest time (June), the farmers used to tie up the wheat in bundles and leave it to dry further in the warm June sun. Then in July these were transported to the qiegħa where the wheat would be dispersed evenly around the structure. Donkeys, mules and even horses were made to turn in circles, crushing the wheat in the process, until the grain is separated from the plant. Farmers would then remove all the hay, leaving the wheat on the qiegħa. They would then sift the remaining in homemade sifters (normally made from cows’ skins). The wheat is then ready to be taken to the flour mill for grinding into flour, semolina and bran. The garden of Sir Alexander Ball is a peaceful orchard. 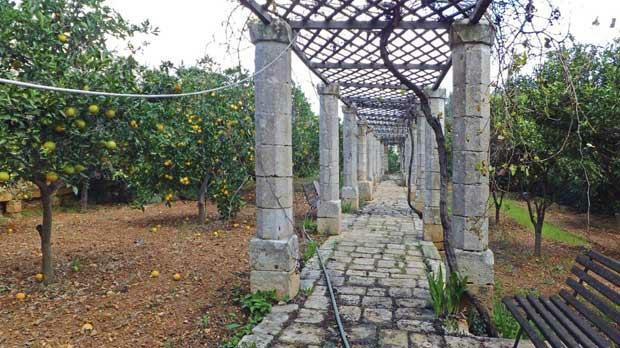 Also in Safi is the garden of Sir Alexander Ball, a civil commissioner of Malta during the British Rule. He had commissioned this garden in 1880. Today, it is open to the public and is a pleasantly peaceful orchard on a country road. At the end of the garden is a room where bees were reared for honey. 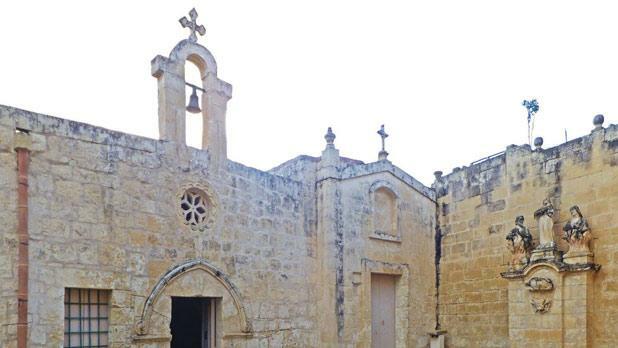 On the outskirts of Safi in Ħal Millieri there is the church dedicated to St John the Evangelist. It is a charming church with a stone cross in front of it which shows that the church may have faced the main square of the village at the time. It was documented in the 15th century and restored in 1822. It was enlarged to the present state at the beginning of the 20th century. 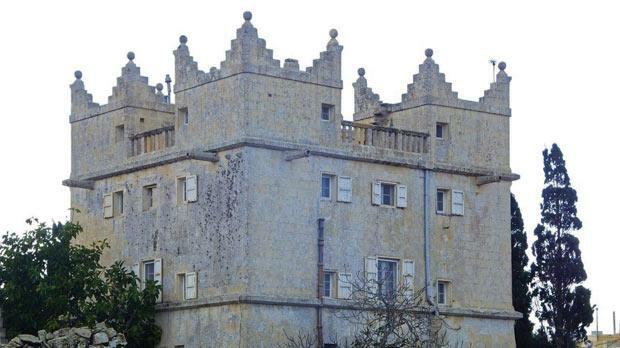 An interesting building in the middle of the fields is the Bubaqra Tower, which was built as a private residence for Don Matteolo Pisani, a Conventual Chaplain of the Order of St John around 1579. For security purposes the front door was built quite small and few windows were located on the lower level. During the 18th century, four turrets were added. Apparently during this time, the tower was used for some illicit meetings with young females. Later on, the tower was acquired by the British military authorities during World War II. It is presently in the hands of private owners who restored most of the extensive garden that surrounds the tower. The chapels of St Basil and St Michael. One of the oldest chapels in Malta is that of St Basil and St Michael in Mqabba. The St Basil chapel was built in 1550. Victims of the plague during the Black Death were buried both inside the chapel and in its front yard. The adjacent St Michael chapel was added in 1669. Both chapels were restored by the government in 2007 and their original beauty can now be appreciated. Another interesting site in Mqabba is Tal-Mentna catacombs. These were discovered in 1860 by Dr A. Caruana and Captain Strickland. They contain a number of detached underground sets of burial chambers grouped collectively next to each other. Presently these are now connected as one large complex. A ritual table is surrounded with small galleries and tombs carved out on both sides of the passageways. The Tal-Mentna catacombs in Mqabba are open by appointment only. This can be arranged by calling 2295 4000 or by sending an e-mail to info@heritagemalta.org. As a guide to the above locations, check out the trail map at http://heritageimqabba.com/ . More details on the Ramblers’ Association of Malta can be found on www.ramblersmalta.com.